The fascinating power of production. The BMW Plant in Dingolfing: Flexible manufacture of automobiles at its finest. From the steel roll to the body-in-white. Throwing a glance at colours. Making available superior comfort – The production of seats exemplified. Quick processes: Punctual, prompt, appropriate. 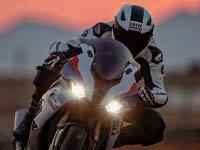 The BMW Plant in Dingolfing: A survey – Milestones on the way to success. The assembly shop – an area dominated by man. As soon as you set foot in one of the two assembly shops in Dingolfing you will notice that apart from state-of-the-art technology it is mainly man who helps to turn the painted bodies-in-white into most wanted BMW cars tailored to the needs of each individual customer. Strictly speaking, there are more than 6, 500 people employed at the assembly shop, who each day produce most flexibly and skilfully up to 1,300 3 Series, 5 Series and 7 Series cars in two shifts. The assembly shop differs in this respect significantly from the press shop, the body shop and the paint shop. In the previous production stages man only seldom touches the actual product, being mainly involved in the control and maintenance of automized facilities. Now the employees are vastly superior in number. The following gives you an example: Man has well over 20 axes of movement, an advanced industrial robot only a maximum of seven. Thus work done by hand and experience combined with the use of state-of-the-art technologies for the assembly lines are the prerequisite for an economic production of customized vehicles of supreme quality. The use of swivelling overhead suspension arms makes it possible to horizontally and vertically move the vehicles, that seem to be floating on the air, and brings them, depending on the work which has to be done, to a position that is ideal for the employees from an ergonomic point of view. Manriding belts facilitate the co-ordination of movements. The relevant equipment details are shown on monitor systems installed next to the lines, the former being provided with customer-specific data by means of so-called transponders that are fixed to the hoods. Hydraulic handling devices help to easily transport heavy components such as air conditioning devices, seats, pre-assembled doors or batteries to the location of assembly. Multiplication of skills within the team. The employees at the Dingolfing assembly shop are organized in teams of up to 10 to 15 people with a high degree of personal responsibility. Each person within a team should be in a position, if possible, to do the job of his or her colleagues. There is a rota system that enhances the abilities and skills of each individual person. Different model series, various variants for specific countries and diversified customers’ requests as to equipment make necessary a high level of flexibility and require the employees to work with great concentration. The following fact shows how complex the manufacture may be: The possibilities of variation, the new BMW 7 Series model offers, amount to 1017 – that is "100,000,000, 000,000,000", which is an incredibly high number. 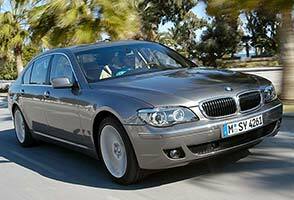 The new 7 Series generation also demands adjustments within the assembly shop. The vehicles’ complex electronic system and new processes such as the customer-oriented sales and production process KOVP have brought about substantial changes in the Dingolfing assembly shop, too. 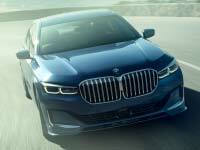 Thus the new 7 Series model is the first BMW model to be built in accordance with the customer-oriented sales and production process KOVP. As KOVP results in the postponement of the allocation of the vehicle to the order of a specific customer, the vehicle and chassis type identification number is now applied by a robot no earlier than at the beginning of the assembly process. For comparison: In the past the vehicle was already allocated to a specific customer order at the beginning of the body-in-white assembly. KOVP and modular construction also make greater demands on the suppliers than before. Fully pre-assembled door modules or front end modules with integrated bumpers, headlights and radiator grille are delivered precisely to the section of the assembly line at which they are needed. 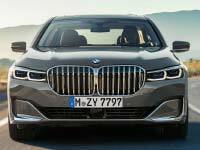 The new 7 Series model’s numerous electronic modules and well over 60 control units are linked to each other and form an extensive network never seen before in automobile construction. The control system CASCADE introduced in the assembly shop makes possible the monitoring of all electronic components and a 100 percent check of their mutual reactions already upon installation as well as after each stage of assembly. In order to pay tribute to the ever-increasing demand of the electronic system, BMW initiated a special training scheme by which assembly workers attained thorough knowledge of the new 7 Series model. The body shop’s employees working at the 7 Series assembly line are highlyspecialized anyway. About 55 percent of the employees are skilled mechanics, 20 percent of the workforce are metalworking specialists and every second employee is a semiskilled worker. About 2,300 employees work on each vehicle before the 7 Series model leaves the assembly shop. The progressive trouble shooting system CASCADE. The abbreviation CASCADE stands for "Control Application Sequences for Coding and Diagnostic Execution". It is a revolutionary system in the world of electronic bench tests. All-new paths have already been trodden in the creation of this system. Whilst in the conventional development of trouble shooting systems the respective test job is in the focus of attention, the new approach takes as a basis the desired ideal state of the vehicle. The new system itself is able to determine any defects or the absence of faults. Possible deviations from the projected status are recognized and reported by the system. A special CASCADE software is needed for this, it virtually assembles a vehicle in accordance with the respective vehicle identification number upon receipt of the assembly order. All necessary data are read out from a database with virtual vehicle components that comprises all model- and equipment-specific test criteria. Thus all initial information needed for testing the vehicle is provided. After the identification of the vehicle at the respective CASCADE test bench information is retrieved from the real vehicle, added to the test information and evaluated. This information can be accessed at any time and from everywhere. Thus the test bench is a standardized interface between the real and the virtual automobile. CASCADE is one the first JAVA-implemented productive systems which runs under all operating systems. 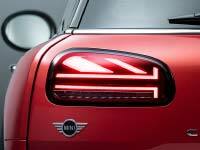 It took only two and a half years to make the initial concept ready for use in series production. The electronic localization of noise sources. In recent years considerable progress was made in the reduction of noises produced by automobiles. This is the reason why nowadays hardly audible noises coming for example from the area of the dashboard or the glove compartment while the car is in motion are increasingly heard. In order to eliminate the reasons for creaking noises as early as in the production stage, the vehicle undergoes several tests. The vehicle is driven on a noise testing track with a special surface. It is further tested at the shaker/roller test bench or on the entrance ramp, where the employees precisely localize the noise sources with a "trained ear" and eliminate them. The first step in the pre-assembly of the windows is the cleaning of the windscreen and the rear window. Then the interior mirror is automatically fixed by adhesion and the windows are provided with adhesive primer by robots. Before the actual assembly the window is measured. A laser measuring system takes a three-dimensional measure of the body’s section where the windscreen is to be installed and computes the correct position for bonding the windscreen. The acquired data is then transmitted to the bonding robot, which finally grips the window and fits it most accurately into the body in an all-automatic process. Virtual testing, assessment and optimization at an early stage of planning. Long before the actual installation of the first facilities intended for the production of the new model series, production planning engineers have already tested several times and optimized complete production lines in their complexity by means of realistic simulations. Whilst in product design the change-over from drawing boards to threedimensional computer-aided design was already consistently pushed forward already at the end of the eighties, the use of virtual threedimensional models in production planning still shows much potential for being intensified and refined. When BMW assembly specialists speak of a "virtual factory" they mean a three-dimensional representation and simulation of the assembly process. Apart from the technical equipment and conveyor systems, such a simulation system also includes the product and the means of production, thus enabling the specialists to eliminate at an early stage of planning potential deficiencies such as too narrow routes of transport, insufficient safety distances or a lack of room for the storage of components. Thanks to the information received via the simulation programs, the modification and installation of production lines can be effected and realized more efficiently. Quality has a long-standing tradition. At BMW quality has a long-standing tradition. Quality has its roots in the distinct quality awareness of each individual employee, having a determining influence on all processes throughout the entire network of plants. An extensive, multi-stage quality management system ensures a high quality standard for all processes, components and, last but not least, for the entire range of products. The seal of quality "Made by BMW" acknowledged by independent experts. 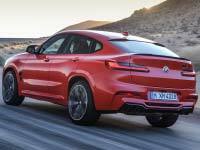 Apart from the successful and regular certification of the quality management system of all plants according to DIN EN ISO 9 000 ff., externally conducted studies in the automobile industry bear testimony to the excellent quality standard of the BMW production sites. In 2001 J. D. Power and Associates, an American-based market research institute, gave to the Dingolfing Plant for the fourth time in a row and for the fifth time overall its Plant Award, this time in bronze. Over the last years the Dingolfing Plant scooped all prizes awarded by J. D. Power and Associates (1996 Silver, 1998 Platinum, 1999 Gold, 2000 Bronze). Uniform quality standards the world over. The quality standards for processes and products are identical throughout the BMW Group’s entire network. There is a uniform numeral representing the quality number. This characteristic number is the result of several years of in-house development and is a guarantee of outstanding quality borne out by the label "Made by BMW". "Customer-oriented thinking and acting" is an integral part of the BMW Group’s employees’ philosophy which is to deliver on time perfect results in all areas of production. The employees’ attitude towards quality is borne out by the early prevention of faults throughout the entire production process and their strive for constant improvement. Source: BMW Group. March 2002.